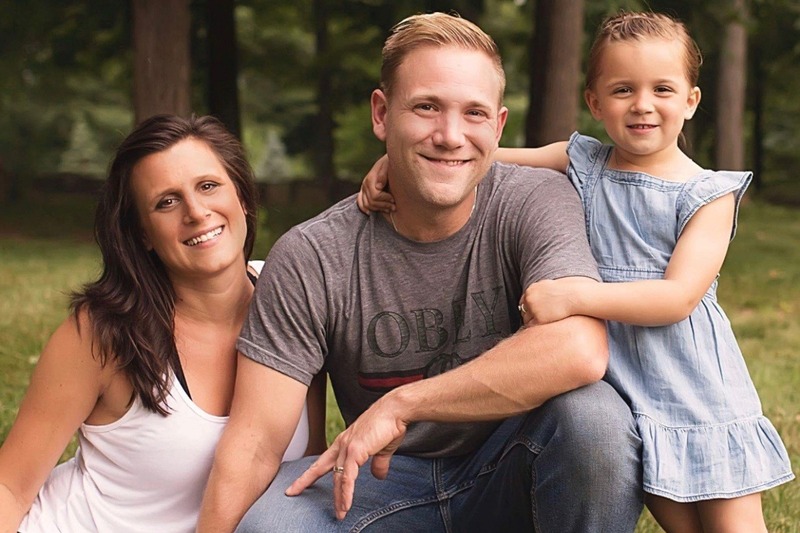 Jeremiah "Reggie" Crowley is a police officer with the Randolph Township Police Department and has been recently diagnosed with Stage IV Malignant Peripheral Nerve Sheath Sarcoma. This is a rare and aggressive form of cancer. He has had multiple surgeries and is currently receiving chemotherapy at Sloan Kettering in New York City while still upholding his oath as an officer. Reggie started his career in Law Enforcement with the Morris Township Police Department. After three years of service to the residents of Morris Township he transferred to the Randolph Township Police Department, where he fulfilled his dream to work in the town where he was raised. Reggie currently resides in Randolph Township with his wife Shannon and four year old daughter, Ryan. This page has been established by Reggie's "Family in Blue" with the hope of raising money to help him and his family with any current and future expenses that they are certain to face. Reggie, Shannon and Ryan thank you for your thoughts, prayers and kind generosity during this difficult and trying time. Please pray for God's healing hand to be upon Reggie as he perseveres and fights this battle. Update from Reggie and Shannon. Thank you everyone for all that you have done, the thoughts, prayers and generosity. It is amazing to be supported by so many and I truly appreciate it. We never know what the future holds, but I know that I am very lucky to have you in my corner. It is nice to have this to use for medical expenses, alternative treatments and traveling expenses and not have to be stressed about intruding on my family’s future financial securities. My goal is to overcome this obstacle and have the opportunity to help other families that have been placed in unfortunate situations. Thank you all so much for your donations to this wonderful family. Every bit helps and it is so encouraging to see how everyone who knows the Crowley family has been so supportive! Even those that don't know them personally has donated. Let's keep the fund going, so please share the link and spread the word.